I made this shadow box to showcase my son’s recent school accomplishments. 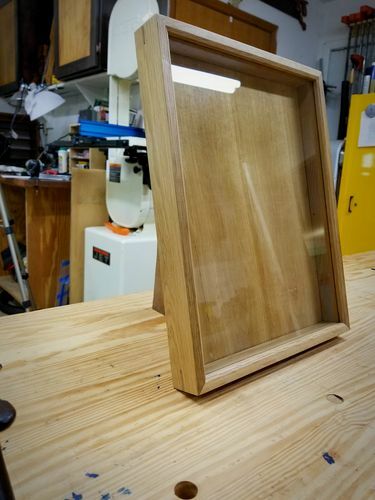 I made the frame out of some oak I had in the shop. I added splines to the miters to give it some strength. This is a great afternoon project that doesn’t take a lot of material and utilizes a simple wax finish.